Pope Francis on December 7, 2017, appointed Archbishop Michel Aupetit to be metropolitan archbishop of Paris. He replaces Cardinal André Vingt-Trois, who resigned. 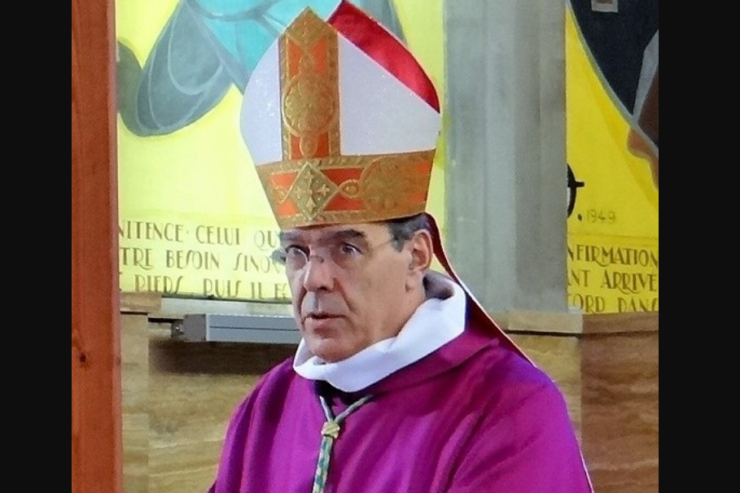 Archbishop Michel Aupetit was born on March 2, 1951, in Versailles, in the diocese of the same name. After his secondary studies, he enrolled at the faculty of medicine in Créteil, graduating in 1978. He exercised the medical profession in Colombes, in the northern outskirts of France, for twelve years. He specialized in medical bioethics and taught this subject in the Henri Mondor Hospital of Créteil. In 1990 he entered the seminary for his priestly formation, concluding with a bachelor’s degree in theology. He was ordained a priest on June 24, 1995, for the Archdiocese of Paris. After ordination, he held the following ministerial posts: vicar of the parish of Saint-Paul-Saint-Louis and chaplain of the lyceums of the Marais district: François Couperin, Charlemagne et Saint-Germain, Victor Hugo (1995-2001); parish priest of Notre-Dame de l’Arche d’Alliance (2001-2006); dean of the Pasteur-Vaugirard deanery (2004-2006); vicar general of Paris and member of the presbyteral council (2006-2013). He was appointed as titular bishop of Massita and auxiliary of Paris on February 2, 2013, and consecrated on the following April 19. On April 4, 2014, he was transferred to the episcopal see of Nanterre. Within the French Episcopal Conference, he is president of the “Family and Society” Council. He is also a member of the “Bioethics” working group.